We treat each project with full attention to your desired outcome. Quality, custom work has never been so affordable! Looking for a quality and affordable painter for your next project? RRR Paint Contracting brings over 40 years of trusted, quality service to your project! We value our reputation and do all we can to fully satisfy our client's desires. Our number one goal is to hear the words, "You've surpassed our expectations!" We hire legal U.S. citizens or those working in the United States legally. Our highly-skilled crew is clean and respectful. The lead contractor is a working boss and sticks closely to your project from beginning to end. The success of RRR Paint Contracting is attributed to a combination of over four-and-a-half dedicated decades of experience, reputation, our quality of work, guarantee, and careful selection of our crew members. Each crew member must adhere to our rules of operation. In addition to the years of experience each of our painters bring, we invest intensive one-on-one training into them. This is to ensure they follow our proven methods, codes of conduct, attention to every detail, and develop the ability to duplicate the strict quality work that RRR Paint Contracting expects and delivers. We pride ourselves on “bidding fair.” We bid projects based on the materials and hours required to perform a timely, quality end result. We DO NOT try to undercut nor overshot our projects. Our bids are prepared with integrity and great care to ensure we include every aspect of the work you want done at a fair, competitive price. Our motto is "When it's a matter of quality," because every detail of your project MATTERS to us! Contact us today for your complimentary estimate! Looking for the one of the best interior painters Tyler, TX has to offer? Our skilled crew provides excellent interior painting work for houses of all sizes and shapes, plus light commercial projects. From the initial walk-through in your home and meetings to discuss the right colors for your home, to preparing your home for the painting job, we take every step necessary to provide a professional and lasting paint job. 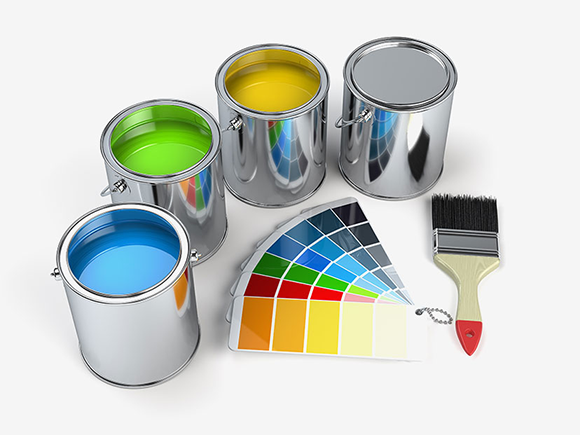 Get the best exterior painter in Tyler, TX. Choosing the right exterior paint or texture for your home can be a tough decision. If it is a new house, you would probably consider a lot of factors like the structure of the house to choose the color. If you’re planning to give a makeover to your old house, let us help! Choosing an all new color can make your home look good as new. Though the deck staining process might sound a little easier than the painting process, the key is to pick the right stain to apply. We can help you choose the best deck stain and stain your deck to ensure that you achieve the perfect looking deck that can also last longer. Get the best experts in Tyler, TX for deck staining to make your work easier and get the perfectly stained deck. Repairing drywall damage might seem like an easy DIY project, but without the necessary skills and techniques, the repair work can be unsightly. The best way to get drywall and sheetrock repaired is by hiring a professional for the job. RRR Paint Contracting can help restore your house to its original look. Our experts will not only repair your drywall, but also make it uniform to match the overall look of your home. Add a personal touch to your kitchen! Cabinets occupy the most visual space and greatly impact the look of your home. Choosing the right finish for your cabinet is can make your kitchen stand out. When you choose us for cabinet finishing and staining in Tyler, TX, we can guide you on the various options you can choose from, the customization levels and more. In Tyler, TX, RRR Paint Contracting is proud to have performed extensive paint-related work for the Tyler Police Department, Tyler Junior College, Andrews Center, Bergfeld Park Amphitheater, Tyler City offices, Pool Park, Preschools and Daycare Centers, and much more. Our favorite work, however, is revitalizing both modern and historical homes. We proudly chose Lindale, Texas, “The blackberry capital of the world,” to house its corporate office. If you have ever visited this fine little city, you know why! Over two decades ago, RRR Paint Contracting relocated to Lindale in East Texas from Kansas after searching for the ideal location to raise a family while expanding our company. We’ve never regretted our choice! I recommend Robert because I think he is the best. My house and my neighbor’s were very challenging and the job next to my neighbor’s will not be easy. My faith in Robert is not only built on the results that I see. I have been around to see the effort it takes and problems that he overcomes to get the job done. We have used RRR Paint Co. for several difficult exterior paint jobs on historic properties and can highly recommend Robert and his crew. Their attention to detail and a fine preparation of all surfaces provide the essential foundation for an excellent paint job. We will continue to use RRR Paint Co. for our well loved historic properties; that says it all! We used RRR Painting while getting our house ready to sell. Robert did a fantastic job removing the old popcorn ceilings and painting the house. He went the extra mile and took care of a few items that were not even on the bid. The house showed very well, and we sold it in only 7 days! RRR always does a great job! Robert is a perfectionist; he checks to see that everything is done and done right before calling a job finished. RRR has completed eight separate projects on the Roddy Home over the years, including a complete facelift of the exterior! backed by decades of dedicated experience. We specialize in custom textures & finishes! Exterior services for commercial & residential projects. Having issues with drywall? Let our experts help! Quality deck staining services available. Contact us today! Give your deck, driveway & more a deep cleaning! Get a great new look for your cabinets from a professional.